The Sony Xperia Z2 which was unveiled in MWC 2014 in Barcelona, Spain extends the Z Series line up and this is, according to Sony, the flagship device of the first half of 2014. This indicates that we will be seeing another new device soon after June. This device is is the same device that we have been hearing under its codename, ‘Sirius’. The Xperia Z2 can be regarded as an upgrade to the Xperia Z21 with improved features. It seems all the tech companies are following Apple’s footsteps by unveiling an upgraded version of a flagship device. Let’s have a look at the device in details. The Xperia Z2 is large as expected and comes with a 5.2-inch Full HD Phosphor LED Display(424 PPI) and incorporates Live Colour LED feature which is powered by X-Reality for mobile. According to Sony, this new feature uses the green and red phosphor with blue LEDS along with customised filter colors to come up with a more uniform and brighter light to ensure the user gets a sharp display. For the hardware, it is armed with the new Qualcomm Snapdragon 801 chipset (Quad-core) clocked at 2.3GHz, 3GB RAM and Adreno 330 GPU. 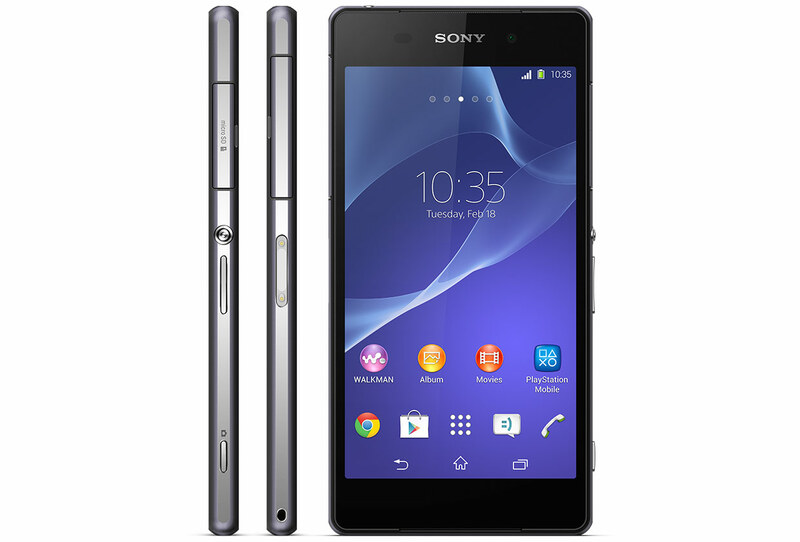 The design language of the Xperia Z2 is similar to that of its predecessor, the Xperia Z1. The Z2 comes with an one-piece aluminium frame with back and front glass panels which looks quite elegant. The Xperia Z2 packs a 20.7-megapixel camera that is also found in the Z1. The camera comes witha Exmor’s RS Image sensor, mobile image processing engine-BIONZ and G Lens. The updated features in the Z2 includes the ability to record timeshift and 4K Video enabling the users to capture at 720p resoulution. With a new Movie Creator installed, users can trim, crop and slow down their videos. Other notable specs include: IP58 water and dust resistance, 2.2-megapixel front facing camera, bluetooth 4.0, 16GB internal storage with 12GB usable and a high 3200mAh sealed battery. The Xperia Z2 will be launching in three colours, purple white and black with Android 4.4 pre-installed and would start shipping in March 2014.